These are all freshly picked from my Grandpa’s garden today! 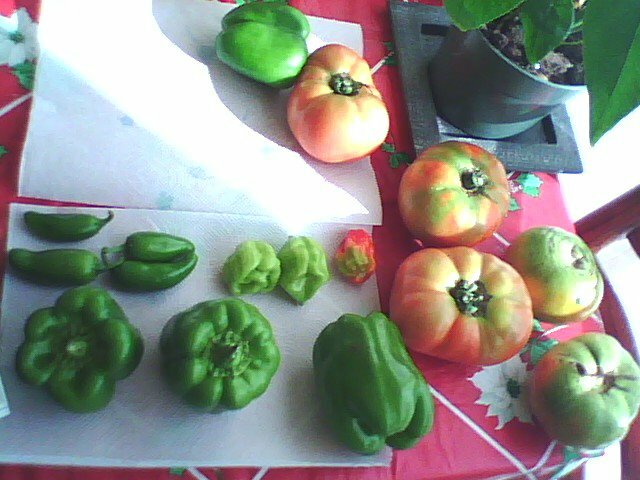 The tomatoes had to be picked while they were still yellow and green because of the bad Stink Bug problems here in Maryland. My grandpop’s picked some early too and they seem to be doing just fine maturing in his house so our tomatoes should do fine finishing ripening up on the kitchen table by the window. We got Bell peppers, Habanero Chili’s, and Jalapeno Chili Peppers. I can’t wait to eat some of those. 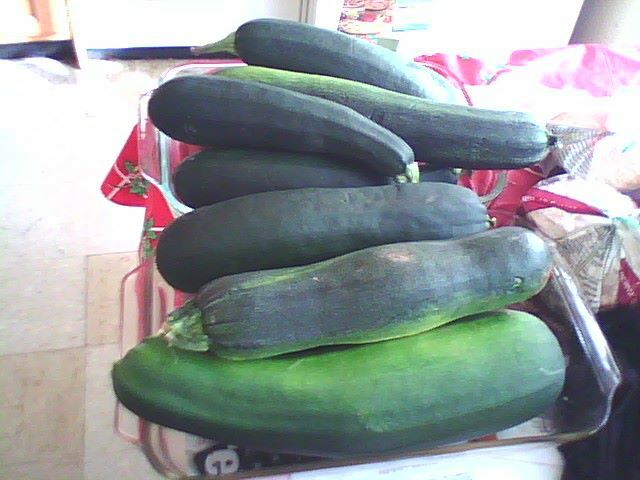 As you can see, we also got a TON of Zucchini. It’s a good thing I love it. Just thought I would share the cool pictures. 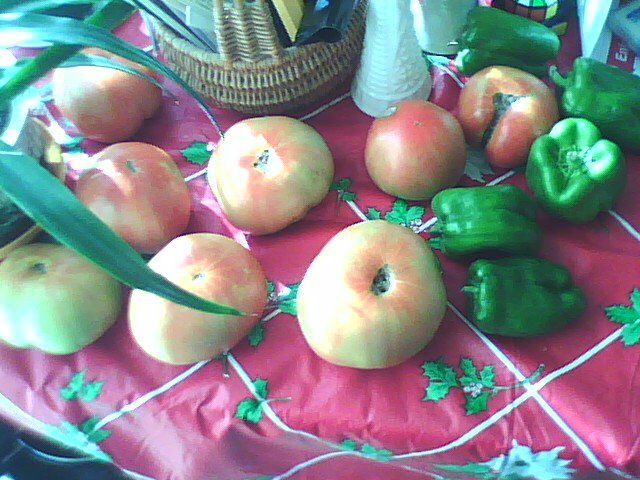 This entry was posted in Food and tagged Bell Peppers, Food, Fresh Vegetables, Garden Fresh, Gardening, Habanero Chilis, Healthy Eating, Jalapeno Chilis, Maryland, Stink Bugs, Tomatoes, Zucchini. Bookmark the permalink.